5 Years of Deeper Shades by Lars Behrenroth album review. Spiritual Deepness. Lars Behrenroth is a name that is synonymous with delivering ‘real’ house music to the masses. 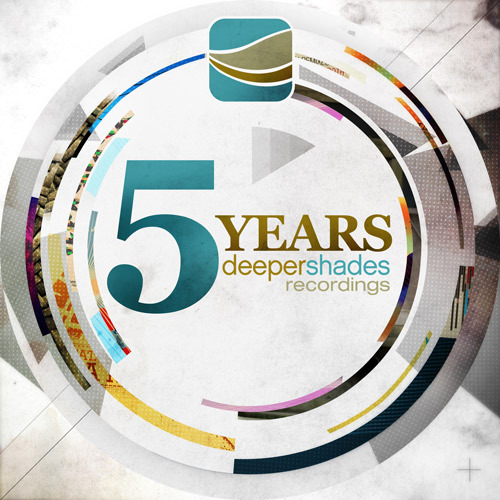 The 5 Years of Deeper Shades album is global collective of up and coming and established producers who have mastered the art of creating deep house blends. The album is a master class, it charters a five year journey through; from, Afro, tribal, jazz infused to hypnotic drum loops, spiritual deepness, and inspirational samples like the use of the Martin Luther King I have a dream speech in Pete Blas Promise Land. This album consists of the songs that you would hear on the dance floor, the type that stays in your mind, the songs you look for but are not easy to find. It is like being given 31 exclusive dub plates. There are too many tracks that will strike cords with the listener; for me the fore mentioned Pete Blas Promised Land, I miss the things with it’s haunting vocals send a shiver of delight up my spine, and the previously unreleased Happy Days by the 60 Hertz Project which radiates organ filled joy and yes happiness. An album with integrity, there are no compromises here just the best quality music made by people who have nothing but love for the scene. 5 Years of Deeper Shades is a reference point for all of those who are passionate about music, and who are looking for something out of the ordinary. It is already receiving acclamation from well respected DJs and Producers here are some of the comments.